I know there have been a LOT of mixed reviews for this one, but I really enjoyed it. It's unique, different, and engaging, so it kind of blew me away. 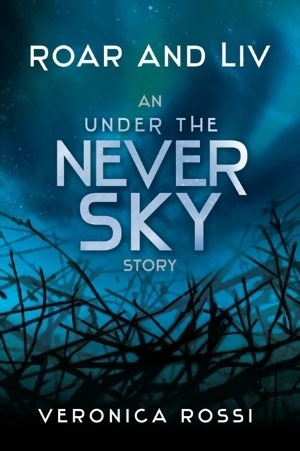 I'd definitely recommend it if you're looking for something original in the dystopian genre. I am SO EXCITED for this one! I've already had to restraint myself multiple times not to read it before 2013 since it only releases in February, but it's going to be SO GOOD. I just KNOW. It's Cassandra Rose Clarke after all! I have full faith in this author's ability to carry off this uniquely spun tale, so I just cannot wait to get to it! I already read and reviewed this one, but I was quite impressed by it. It's a solid fantasy that I thoroughly enjoyed reading and I'm surprisingly looking forward to the sequel. You can enter to win a copy of it HERE. Gosh, this is amazing. It's Laini Taylor, so I can't say I'm surprised, but I'm LOVING this one - more than its predecessor even! Very, very impressive follow-up. I've heard SO many good things about this one, especially the male narration, so I can't WAIT. I'm definitely bumping this one up my TBR, so I'll hopefully get to it sometime soon. 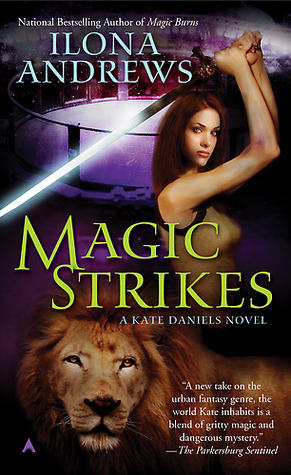 Wow, what can I say about The Kate Daniels Series? I've been flying through these books and I read the entire series, along with 80% of the novellas all in one week. Yes, they are just that good. I wasn't impressed by the first novel, but after the second, I could definitely see why this series gets as much hype as it does. 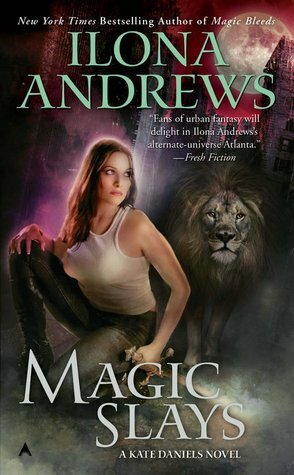 It really is one of the BEST Urban Fantasy/Paranormal Adult Series out there, so I'd highly encourage you all to read it. So. Freaking. Good. 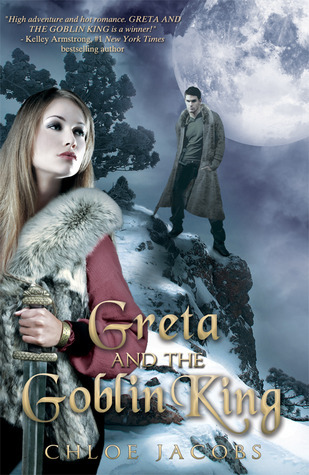 I bought this prequel novella the moment it released and I loved it! It's short, sweet, and best of all, there are two teaser chapters for Through the Ever Night which are...AMAZING! I need to SOMEHOW get an ARC of that novel because it is just so, SO good! Yet another one I read and simply adored. I went into it with fairly high expectations and was definitely rewarded, so I can't wait for the sequel now - these characters really do make their way into your heart. A simply phenomenal (and unique!!) debut. The Raven Boys isn't my favorite Stiefvater novel, but it's pretty close, so when I was offered to trade an ARC of Beta, a novel that had received so many negative ratings I didn't plan to even pick it up, for an ARC of this, I didn't even think twice. It's a beautiful ARC, so I'll definitely be re-reading this one before the sequel comes out and I'm thrilled to have it on my shelves! I love this book. Seriously. I knew I had to buy a hardcover of it for myself and I'm currently re-reading it, really slowly, so I can take my time and savor the writing instead of frantically flipping the pages to find out what happens. It's amazing - definitely better the second time. Love, love, LOVE this! I'll admit it: I succumbed to the hype. I love the trailer for this one and plan on seeing the movie once I finish it, so I finally did buy this one. I'm only around 100-ish pages in, but I love it. I don't quite know why since, to be honest, it's a little boring but at the same time, there's just something about it that I'm in love with. I'm going through this one really slowly as well, savoring the writing, so it's a great read! I received Daughter of the Forest from PaperBackSwap, which is why it looks a little battered. Yet, the book looks wonderful and it's Juliet Marillier, so you can't possibly go wrong. I am itching to open this up and get sucked into its world, so this is definitely next up on my list, especially as Heidi from Bunbury in the Stacks so highly recommended it to me. You should definitely check out her review HERE. OOooo definitely a great stack of books! I recently read (and loved!) Juliet Marillier's YA novel Shadowfell so I really want to check out her other books like Daughter of the Forest. So many AMAZING new books!! I got Renegade too and I also loved it! I wasn't totally sold on the romance but otherwise I thought it was very good. And I read Burning Blue a few weeks ago and it was amazing! So intense and kind of mind blowing O_O I'm sure you'll really enjoy it! I keep hearing so many amazing things about The Lost Girl. I really need to read it at some point!! I hope you enjoy all your books! THey all sound amaaazing! Great haul! Enjoy! Look forward to your reviews of these books. So many awesome books!! And I'm amazed by how quickly you could go through the lot of Kate Daniels. 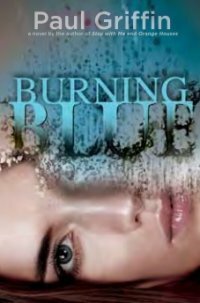 Just like you, I'm tempted to get Burning Blue after reading so many great reviews. Maybe I'll make a trip to the bookstore later. Enjoy the books and have a lovely week! WOWWWWWW. Monster haul and I see a favorite of mine here! Diviners--yeahhhh! Fantastic haul. I am sooo jealous. Seriously Keertana, did you get all of those books this week and read like half of them?! You astound me. You always have reviews up at the same time you have books and I seem to months ahead when I get a review for a book I had on my post ages ago. 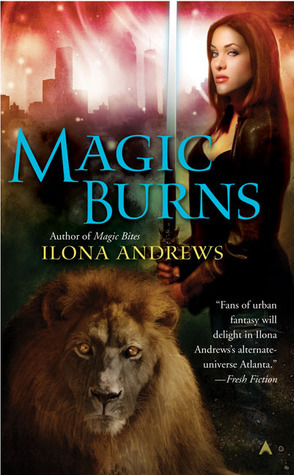 I was a little wary about the Magic Bites series because I didn't think it was really for me, but maybe you'll be able to convince me otherwise on a a review. But damn, that is a HUGE haul and you are one lucky girl!! I have to say I'm insansely jealous off you. Why haven't I heard of Burning Blue? Wow...this is like, the book haul to end all book hauls! :P So many great books, I don't know where to start oohing and aahing! :) The Raven Boys, The Scorpio Races and The Diviners were all 5-star reads for me...hope you enjoy them as much as I did. I still need to read The Lost Girl...I'm convinced it will be incredible when I get around to reading it. Hope you enjoy all of your new reads! Squeee! What an amazing haul! I'm so glad to see you enjoyed DoBaS even more than it's predecessor, it definitely took me by surprise how much I absolutely loved it :) And Maggie Stiefvater! Oh, I adore her books so much and I'm totally jealous of your beautiful, finished copy of The Scorpio Races. I have The Raven Boys sitting on my shelf as well and I'm dying to get stuck into it after I finish my exams so I'm excited to hear that you liked it. Plus, Roar and Liv! I NEED to get a copy of that pronto seeing as how there are teaser chapters from Through The Ever Night eeep! Needless to say, I'm incredibly jealous of your haul this week and I definitely wish I was you x) Hope you enjoy everything and happy reading! The Mad Scientists Daughter! Woo hoo! 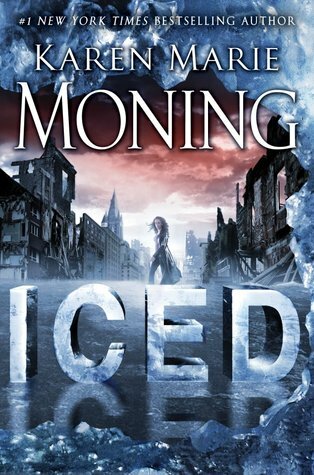 I haven't got Iced yet, I'm making myself read at least three sequels first since it was epic release month for sequels, but its funny you said you've seen reviews that aren't so great, but every review I read was saying it was fantastic. Hmmm... well, its KMM I'm still excited! I got the Kate Daniels books a few years ago but wasn't loving the first and set it aside. I did read a spin off this year though and loved it so I'm planning to go back and try again. I'm happy to hear they get better though. Quite often the first in a UF series isn't impressive but they get better. Oh, I'm curious to hear what you think of Glow, I really enjoyed it but it was definitely a strange story. But strange can be good and I guess it worked for this one! Every time I see Renegade, I get the damn song by Styx stuck in my head (purely thanks to an episode in season 2 of Supernatural). ANYWAY. Your review was amazing. I'm so much MORE antsy to get my hands on it! AHHHH. 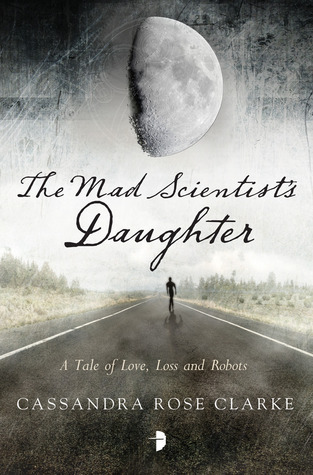 The Mad Scientists Daughter! *bounces* READ IT. REVIEW IT. MAKE ME HATE YOU! 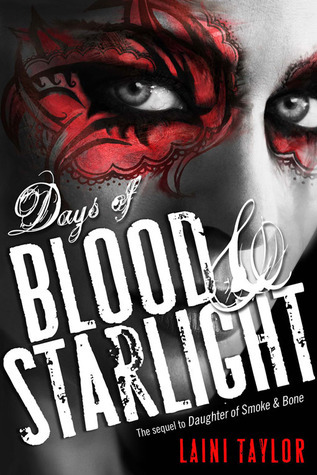 Oh wait, you've already accomplished that - DAYS OF BLOOD AND STARLIGHT?! *screams* I NEED THAT BOOK LIKE I NEED AIR. So many awesome books!! 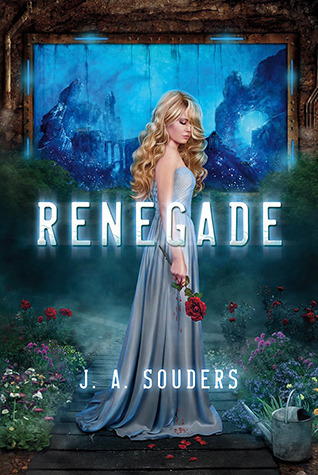 I am reading Renegade now and loving it. I am also listening to the audiobook of The Diviners and it's really great!! Lost Girl is a fabulous book! Hope you enjoy all of your awesome books!! Glow! YES! Even if you don't like it/feel uncomfortable about it, keep in mind that the second book is much, much better. I'm happy you get to have a dtb of The Scorpio Races, some books just need to be hugged as often as possible. ICED! I know a lot of people have been put off by it, but I absolutely loved it. I think it's important to remember that while Dani is 14, this isn't a YA book at all, and KMM is big on pushing boundaries. I'll be interested to see what you think Keertana! Glow was good. I didn't love it but it was good enough to where I want to check out the second book. I hope you enjoy everything!